SaaS technologies and subscription-based business are all the rage because everyone loves recurring revenue. But these businesses require continued investment in technology or inventory and can be very difficult to fund at the seed stage. Those reasons may not present a barrier to funding with a new early-stage credit fund based in San Francisco, called Arc Labs. Too often founders in their first few years of business take on equity investors and dilute their holdings. One entrepreneur I know, Eric Spett, the CEO of Terminus, won an entrepreneurship competition in college but didn’t take the prize because it came with equity funding strings attached. But equity funding isn’t the only way for tech startups to raise capital, particularly when there are companies experimenting with ways to extend debt capital. 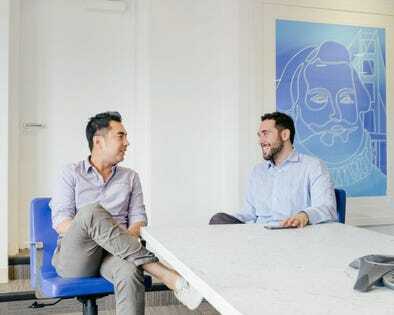 The founders and managing partners of Arc Labs, Francis Shih and James Sagan, didn’t start out to create a credit fund. They were trying to uncover new capital growth strategies with calculated risks for the family offices they served. Shih had experience leading seed rounds at Arena Ventures. He worked closely with fintech startups and got to hear their pain points, particularly for capital-intensive businesses. He knew that the traditional VC seed funding model was too expensive and too dilutive to many founders. For this reason, Shih began to raise debt capital beside equity capital. It was here, making a debt capital deal that Shih met James Sagan. Sagan and Shih had an important thing in common—they were both fascinated with the people side of the lending equation and navigating complexity to enable a deal. In Sagan’s case, he had lived in Puerto Rico where he encountered many people who didn’t fit a traditional lending or underwriting model. Sagan, through his family office, was making one-off loans to make the “unbankable” bankable. With the goal of enabling others to extend credit to their customers (in a way that limits capital risk), Shih and Sagan formed Arc Labs as a tech-enabled credit fund. Technology is an essential aspect of helping mitigate the risk of bad debt or late payments. Here’s how it works. We’ll use Arc Labs customer, Payjoy, as an example. Payjoy, which comes pre-installed on many smartphones such as Samsung, enables consumers to finance the phone. Anyone, including those with no credit history, is approved and can pay as they go for their phone. But, to extend credit, Payjoy must have a financing partner willing to front that customer. Arc Labs, extends credit to PayJoy’s customers through their debt facility and funding platform. When the user pays, Arc Labs collects the payment, takes out their fees and deposits the balance into Payjoy’s account. The risk mitigation, and the importance of technology integration through the platform, comes in when someone stops paying their bills. Arc Labs can lock the device for non-payment. Upon payment, the device can be turned back on. The ability with SaaS or subscription services to lock or halt the service for non-payment is a real-time remedy that can eliminate collections and motivates the consumer creditor to stay current. This additional control has enabled Arc Labs, in under one year, to close (or I should say open) more than 15 debt facilities with ten companies globally. Arc Labs has now raised $35 Million to fund the debt they are enabling through their platform. With the growing challenges of founders without assets that can be collateralized, foreign nationals who do not qualify for credit, and other risks that can be mitigated with an integrated platform, Arc Labs expects to introduce a new generation of entrepreneurs to debt financing. It may not sound as cool as VCs, but if your business concept blossoms in a protected debt ecosystem without you having to front cash or give up equity, it will be really cool.